Michael Kors | Vim & Vintage - design. life. style. 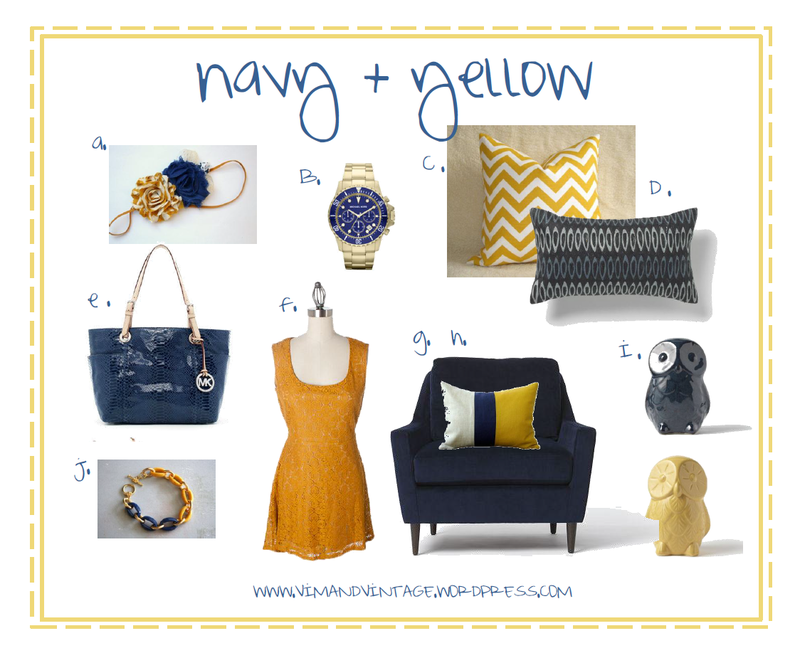 Navy and yellow. A perfect pairing for the lover of the crisp and classic blue mixed with a cheery, modern ray of sunlight. I’m starting to see the pair together more… and I’m liking what I see! Lace pencil skirt please come into my closet. I will make a home for you. Navy & white exterior already won me over, but that front door is cash money! Navy stripe nautical + yellow mini skirt. Love this room by Tobi Fairley! Such a design inspiration!